The Bermuda 3s, a new team par 3 golf championship matching Pro-Am teams from four international territories, is slated for October 21-26, 2018 in Bermuda. The event is the creation of two golf industry veterans, former PGA chief executive Joe Steranka and Honda Classic Executive Director Ken Kennerly, and is sponsored by the Bermuda Tourism Authority and Goslings. Certified PGA Professionals from the U.S., Canada, Great Britain & Ireland and Continental Europe will lead four-person teams and compete individually for a $100,000 purse. Entry fees of $12,500 per team will earn a PGA Professional and their three amateur partners one of 20 places per region and one of golf’s most extraordinary experiences including competition on the fabled Mid Ocean Club, Port Royal Golf Course and Turtle Hill Golf Club; five nights of single accommodations at the Fairmont Southampton on Bermuda’s stunning south shore; and memorable evening functions including opening and closing ceremonies, award winning food and acclaimed Bermuda hospitality. 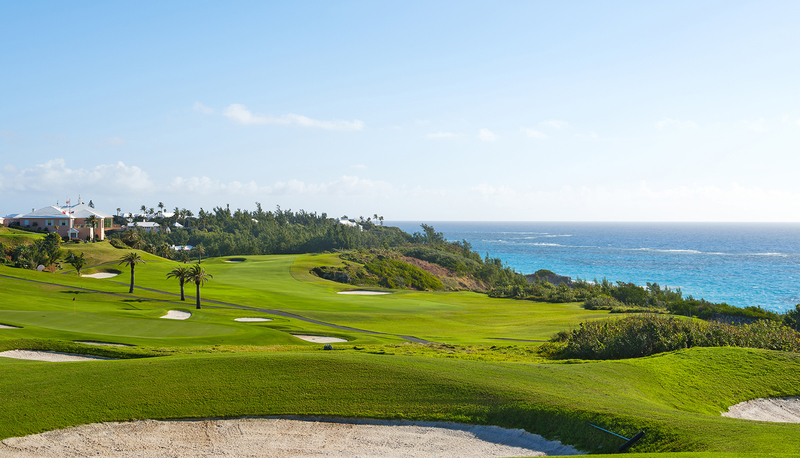 Bermuda has been a popular golf destination since hosting the PGA Grand Slam of Golf from 2007-2014 at Mid Ocean and Port Royal. The Fairmont Southampton served as the host hotel for dozens of major champions and their families.